This has been a busy week for me. Most of the swelling has gone down in my knee and although I still am having a little pain, I have really fallen behind in all of the things I need to do so, I have been trying to catch up. 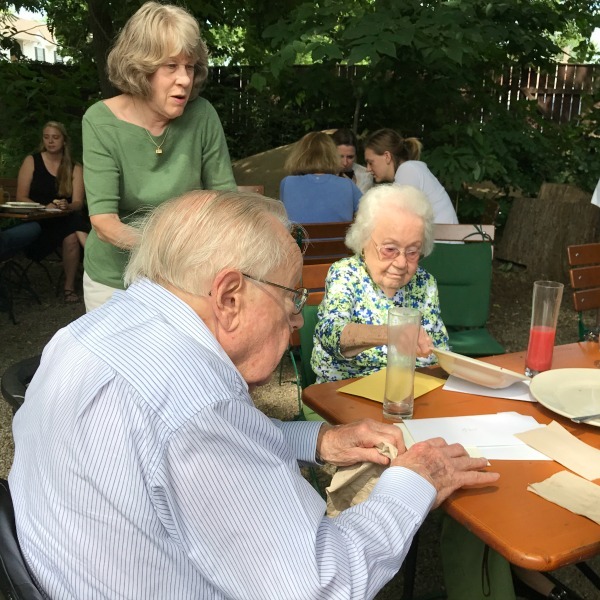 The week started off with my Uncle's 97th birthday party. This is my uncle along with my mom who will be 93 in August. I sure hope I inherited their longevity genes. Speaking of family, I finally got through all of the family photos I found at my sister's and divided them up for the family. 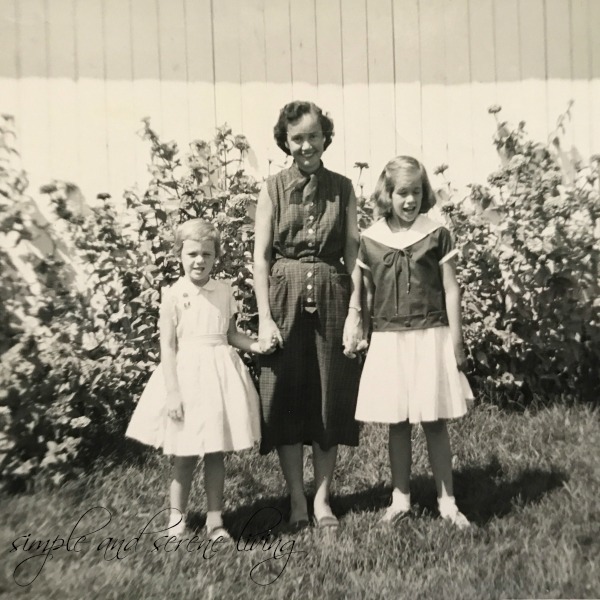 I'll share more of them later, but thought I would share this photo of my mom, my older sister, and me. This was taken after my mom had all of my long curls cut off. She said she was tired of trying to get a brush through them. 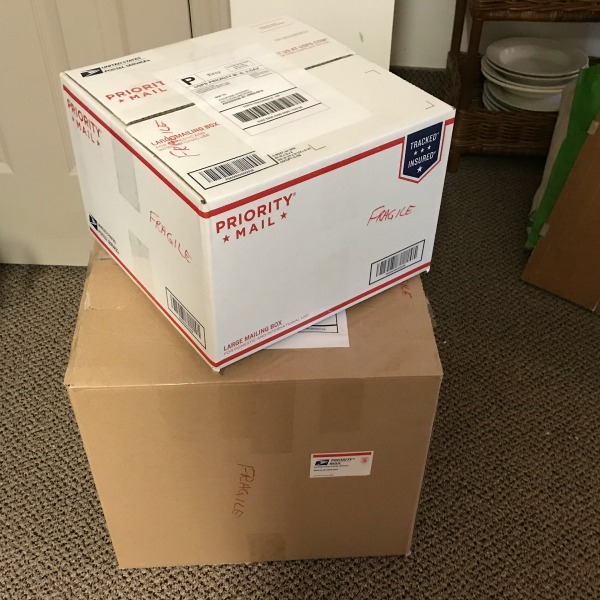 I've started selling again, and although I am selling locally and a few things on Etsy, I am not really happy with the direction Etsy has taken. This has led me to consider attaching a shop to my blog. 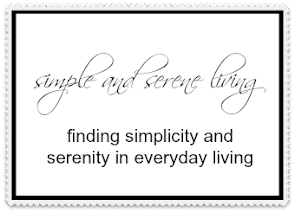 I will be working on finding ways to do that this next week. I was really excited this week to see the farm market around the corner from me open up. First peach of the summer season is always a highlight for me. Yummy!! 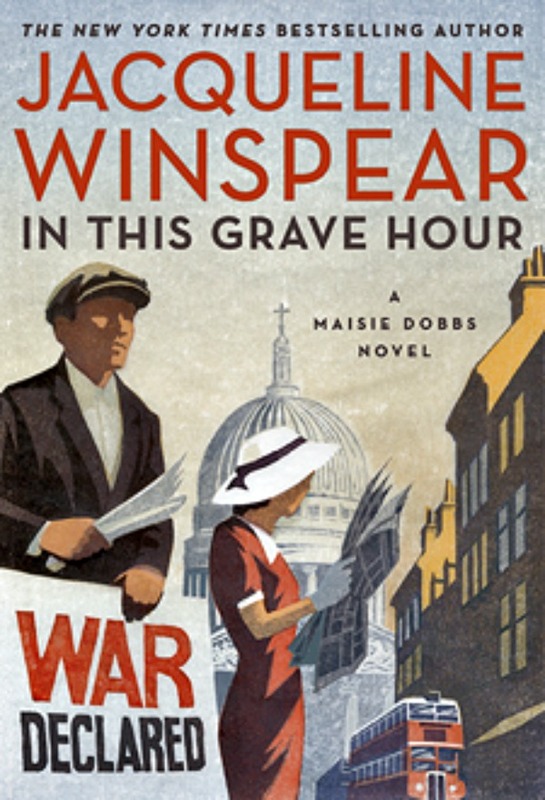 Have you read the Maisie Dobbs books by Jacqueline Winspear. I love them and I was so excited to read the newest book in the series this week. If you decide you want to read them you need to read them in order. It's been a busy week, but I like being busy. Today I am going to cook some fresh green beans with tomato slices, new potatoes, and corn on the cob. Later I am playing Rook with some friends. Hope you had a good week and that you have a great rest of your weekend. 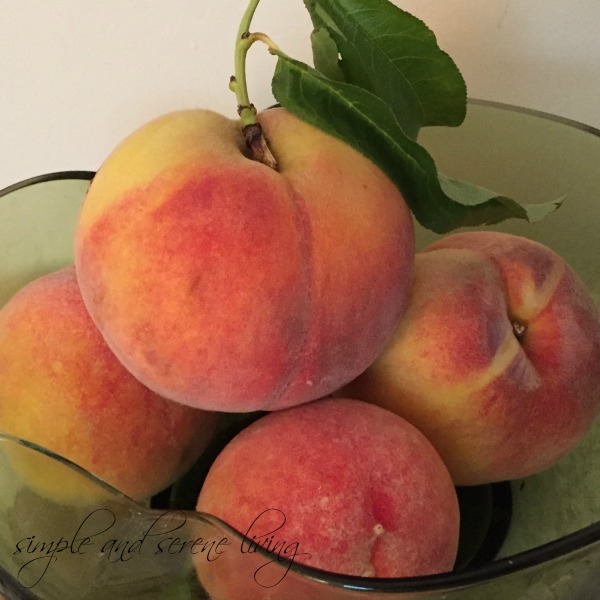 I love fresh peaches! I'm glad your knee is better. I've had a busy week and the rest of the month looks to be the same!